Indoor cats or cats that are unfamiliar with the area can benefit massively from an outdoor cat enclosure. In our opinion, the best purchase is the Outback Jack Gear Happy Habitat due it's large size and 360 degree view. Whether you’re taking an indoor cat outdoors to enjoy a summer’s day, or taking an outdoor cat to an unfamiliar location, an outdoor cat enclosure is the perfect way to give them the best experience while ensuring they can’t run off. Our investigation into the options currently on the market has led us to believe that the Outback Jack Happy Habitat is the best outdoor cat enclosure available. If you have multiple cats or are looking for something a little smaller, then we’ve taken a good look at plenty of other options to help you decide which is best. It’s best to pay close attention to the size of the enclosure to avoid the surprise of an enormous mesh tent turning up at your doorstep. Some of these are pretty big, you have been warned! Though the products vary significantly in both size and price, we feel confident that there’s something for everyone here. To give you the best shot at picking a durable cat playpen that offers good value for money, we’ve reviewed each in a bit more depth. We’ve tried our best to outline the pros and cons of each of our selected playpens and compare them on attributes such as strength, material quality, and size. Below is a list of the 5 best outdoor cat enclosures that money can buy. The Outback Jack Happy Habitat provides more than 30 square feet of area for your cat to enjoy. It’s 360 degree mesh construction gives them a clear view of the world around them all while keeping them safe and sound. Though it isn’t all too clear from the product image, it does have a mesh flooring so the zip-up door is the only way to enter or leave the safety of the enclosure. The item is suitable for use on almost any surface and even comes packed with some tent pegs that you can use to stake it down and stop it moving around on grassy surfaces. 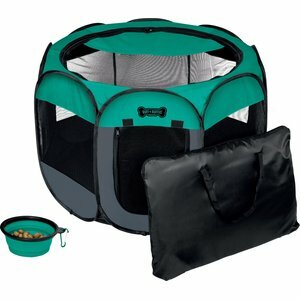 You can fold the playpen up when it’s time to head home and store it in the carry bag that comes provided. It folds up to a relatively narrow size given the area is so large. We were quite impressed with that. The build quality is outstanding and it feels incredibly sturdy once it’s locked in to shape. There’s little to no risk of even the strongest of cats causing damage to this enclosure. Find out more about the product and see other reviews using the button above. The ToysOpoly Premium Playpen is a sturdy outside cat enclosure that we loved for it’s waterproof floor and removable panels. Both the floor and the roof can be unzipped and removed entirely. This not only makes it one of the easiest and best outdoor enclosures to get your cat in to without a struggle, but also means it has a practical use indoors. The zips are incredibly sturdy and the mesh feels secure under pressure. It’s marketed as being suitable for small dogs too, so you can trust that it easily withholds any force that cats can exert. It comes with 4 stainless steel anchors that can be used to pin the tent down into the ground for extra peace of mind. We think this is the perfect outdoor enclosure for multiple cats, since the panel structure is far more accommodating for a few cats at once than the cave like build of the other mesh enclosures. It doesn’t quite offer a full 360 degree view, since there are pockets on some of the panels that can be used to store anything from toys and treats to blankets and water bottles. This foldable playpen from Ruff ‘n Ruffus is another fine example of a panel enclosure that offers a wide view. It’s available in two sizes, though we’d probably recommend you go for the larger size if you have the space for it since it’s best to have more area to roam in. The larger size gives a significant amount more room and isn’t that much larger to store when it’s folded up, so it seems more than worthwhile. It’s super lightweight, folds up almost flat and comes with a convenient carry case. They also provide a small collapsible food bowl that’s perfect for traveling with. We love that it comes with a removable roof that offers shade to your cat, meaning they can be sheltered from direct sunlight while enjoying the outdoor experience. The waterproof material means it’s very easy to clean. It may be too large for most conventional washing machines, so a quick wash with a garden hose is more than enough to wash away any spills or accidents. We love the design and though we’ve heard stories of dogs causing damage to the material, it really isn’t something you need to worry about when housing a cat. 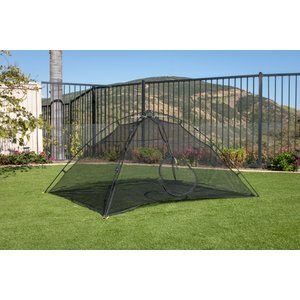 The FrontPet Cat Tent is our second favorite dome-like mesh cat enclosure. Much like the Outback Jack Happy Habitat, it provides in excess of 30 square feet of open area with a 360 degree view. It’s really big. You can literally get in yourself and lie down. It’s super easy to set up and take down, no assembly required it just pops out and snaps into shape. It feels real sturdy when snapped into place and the folding door makes for easy loading of your cat. The zips are strong and can be opened in either direction, there’s no jamming or awkwardness in the motion. As with the others on our list, it comes with a carry bag that makes storage a breeze. The bottom is mesh, which is fine, but we found our cat was more comfortable on wet surfaces if we put a mat under the enclosure to keep their paws off the wet grass. There’s plenty of room for toys and treats inside, and even room to lay out a reasonably sized blanket. Nala and Company’s outdoor cat enclosure wins a space on our list for being moderately sized and coming with a wipeable floor installed. Again, as with the other mesh enclosures on our list it offers the best range of vision. There aren’t any walls to restrict the view so your cat gets as close to the full outdoor experience as possible. It’s a fair bit smaller than the other two mesh playpens on our list (you probably wouldn’t want to try lie inside this one! ), but that can be a bonus if you have restricted outdoor space. The smaller size also makes it an idea enclosure for indoor cats, if you need to keep them confined temporarily for any health reasons. There’s still ample room for your cat or kitten to move around, so they won’t be feeling claustrophobic despite the smaller area. It’s designed for cats, so while it doesn’t feel as sturdy as the other options that are usually fit for use with dogs, it’s still strong enough that you won’t have to worry about them escaping. 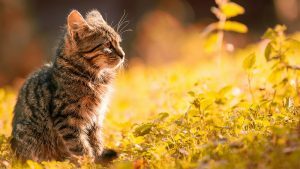 One of the best reasons for purchasing an outdoor playpen for your cat is that it offers them a taste of the outdoor life without any of the risks to safety. They’ve seen a surge in popularity recently as more and more owners want their cats to experience a fuller life. It’s usually not a good idea to let cats that have grown up indoors run free outdoors. Adult cats are far more prone to stress and may not cope as well as you’d hope if they’ve not grown up with any exposure to the outside elements. A mesh enclosure allows your cat to feel safe in an outdoor environment, and gives you a chance to enjoy your time with them without having to worry about them running off. If you invest in the right outdoor cat enclosure, you’ll be sure to improve the quality of life your indoor cat has, and your own by improving your bond with them. First and foremost, your cat’s safety is your number one priority. 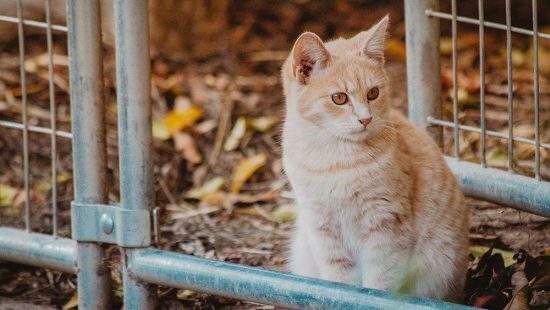 You should never leave your cat unattended while outdoors in a cat enclosure, though they may not be able to leave, they are still susceptible to stress from the environment around them. This is especially true for indoor cats, who will not be used to hearing noises, birds or other external factors. You also want to be sure they aren’t left in direct sunlight for very long. Cats have no way of telling you that they’re overheating, so it’s better to be on the cautious side as far as exposure to the sun is concerned. Secondly, the larger the enclosure the better. The freestanding enclosures featured in this article are all of a reasonable size, and should not make your cat feel like they are confined to a tiny space. Use fun toys and treats to keep them entertained and show them that they’re in a safe environment. Familiar items such as stuffed toys or cat beds help them feel in control of the territory and will help in keeping them calm. Comfortable, secure and ADORABLE. 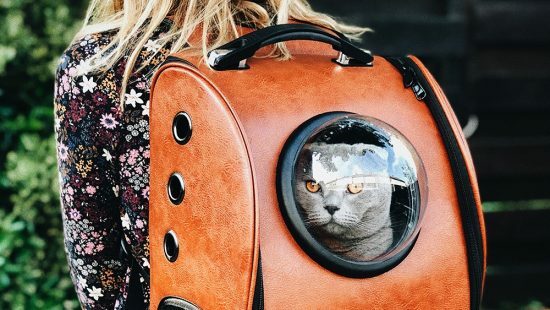 Cat backpacks are a craze we hope never dies out. We've hunted down the best backpacks around, bubbles and all. 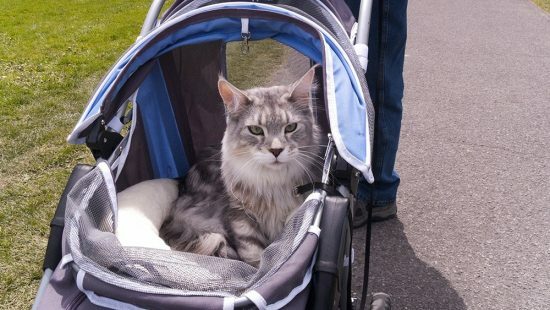 The best cat strollers make sure your cat is safe and comfortable while on the move. We've hunted down the strollers we believe are worth the money. Indoor cat enclosures aren't a permanent solution to housing a cat. When the time comes for you require the use of a cat cage you needn't look further than the MidWest Homes Playpen and its outstanding value for money.